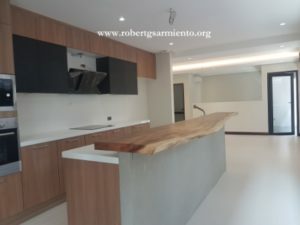 Details : Brand new, three storey townhouse, last unit available, semi furnished, Masters Bedroom with walk-in closet, master’s bathroom, two bedrooms w/ built-in closets and bathroom, main kitchen, dirty kitchen, powder room, maid’s room w/ bathroom, driver’s room w/ bathroom, laundry area, four car garage, modular closets by vVox, AC Systems by Mitsubishi, Modular Kitchen and Equipment, Andersen Windows, Plumbing Fixtures by KUYSEN. 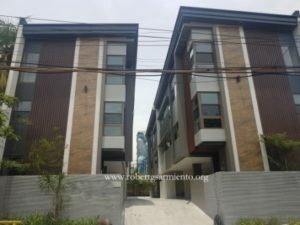 Close proximity to Rockwell Mall, few minutes to Makati CBD and Bonifacio Global City. Well built, first class materials. For further details on the property listed above, please call our office at 8561365 * 09776742094 * 09177954995 * 09272221528.